Mumbai: Due to fresh demand for the US currency from importers, the rupee slips by 12 paise to 68.74 against the US dollar. Traders said besides fresh demand of the US currency from importers, dollar’s firmness against some currencies overseas weighed on the domestic unit. 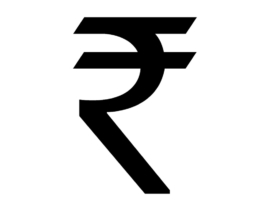 The local currency had depreciated 17 paise to settle at 68.62 yesterday. The benchmark BSE Sensex, meanwhile, was volatile in trade on Thursday morning.